This is pretty baby t-shirt with long sleeve decorated with funny picture of little giraffe. is executed in special manner which makes it convex on the surface of work piece. 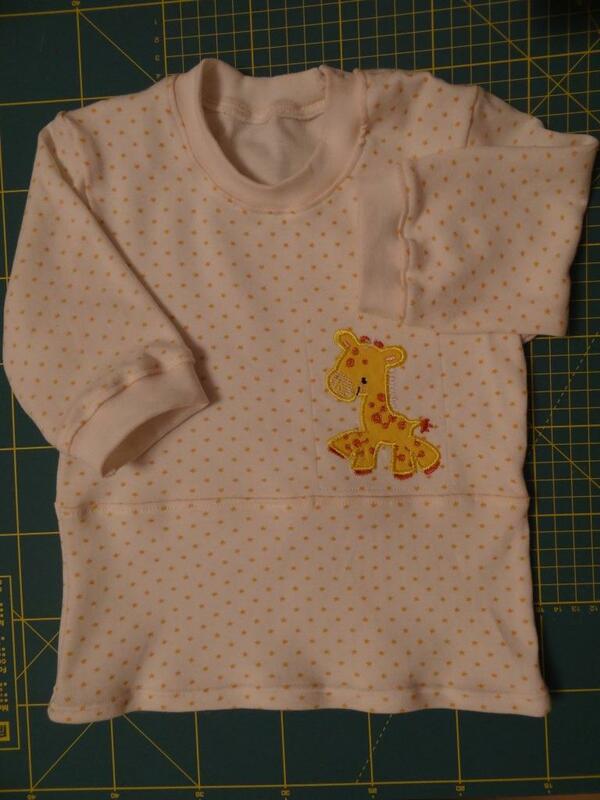 Little embroidery sample embellishes baby outfit and doesn’t restricts movements of child. You will need little piece of fabric for making this design. Then you will add it by just contour and some other small details.